Live out your rom-com fantasy with a rowboat on Stow Lake! Pack a picnic or just take in the landscape as you row past stone bridges, quaint gazebos, and lush vegetation. Once you’re back on dry land, head to Crissy Field in order to take in two amazing views at once. Not only will you experience a breathtaking sunset, but you’ll also understand how the Golden Gate Bridge got its name as the sunlight shimmers on the bridge’s paint before disappearing beyond the horizon. Don’t get too captivated in the view or else you’ll miss the annual Great San Francisco Pillow Fight. When the clock strikes 6PM on Valentine’s Day, at Embarcadero Plaza, make sure you have a pillow at hand - it would be hard to ward off the 1,000+ flash mob without one! Rediscover one of your favorite foods at a Chocolate Tasting Experience. Experts will teach you about the flavors and origin of various chocolates as you try to find your favorite one! Bring life to your date night as you prepare your sea legs + step aboard a SpiritLine Cruise for a romantic dinner cruise! Hop aboard for a 4-course dinner with hors d’oeuvres, a dance floor, and a fantastic view of the Charleston sunset. If you’re feeling a little romanced out by the end of the night, join Bulldog Tours for a paranormal investigation at the Charleston Old City Jail. The tales of famous criminals and lovers who were torn apart by the law, will have your valentine staying close to you all night long. If you and your valentine are looking for an adventure, try one of Aspen’s many snow activities! Encounter wildlife as you snowshoe through Aspen’s countryside, lead your own team of sled dogs, or race over the snow on a thrilling snowmobile excursion. If you happen to end your snow activity at the bottom of the Aspen mountains, be sure to take the Silver Queen Gondola and ogle at the 360° views it offers. In just 14 minutes, this lift will have you traversing 12,000 feet above the Aspen mountain side! To finish your night off, cozy up to your sweetheart on a hot cocoa sleigh ride through the snowy Aspen forest. Since your horse drawn carriage will provide warm blankets, all you need to do is bundle up, relax + take in the magical sights! For an early start to your V-day events, head over to Tybee Island for a Savannah sunrise! Share an intimate moment on a poplar swing as the cotton candy skies greet you at North Beach. After spending your morning on the beach try switching up the scenery and impress your valentine with thoughtfulness as you pack their favorite food and head to Forsyth Park for a picnic. 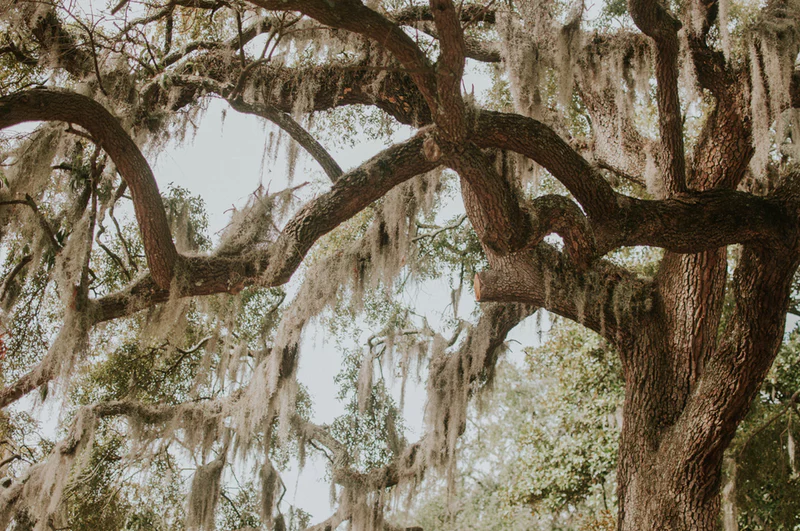 Surrounded by trees draped in Spanish moss, this park is the perfect place to share a conversation or cloud watch while listening to romantic tunes. Turn up the heat in the kitchen this Valentine’s day with a hands-on cooking class! The New Orleans School of Cooking will guide you through the process of making an authentic Louisiana meal - after the hard work is done, you’ll even get to sit down and enjoy your creation. If you’re looking for a way to work off those dinner calories, take a hand-in-hand stroll through New Orleans’ French Quarters. You’ll be sure to swoon at the romantic balconies, brightly colored storefronts, and live musicians that line the streets! After a long day of exploring the city, finish your night off by climbing aboard a mule drawn carriage ride. Listen to the sound of hooves on the pavement as your guide recalls the magical history of New Orleans. Grab a pair of comfortable shoes + your valentine’s hand as you embark along the Rhode Island Cliff Walk. Acting as a barrier between the breaker waves of the Atlantic + the famous Newport Mansions, this cobblestone path offers a romantic stroll with a gorgeous backdrop. Once you’ve gotten your fill of the beautiful outdoors, head over to the Newport Winter Festival for fun activities! Along with a Fire + Ice Bar, a valentine’s themed comedy show + a chocolate pop-up shop, be sure to check out the Girl Scout + Beer pairing event run by Newport Craft Brewing Company. To end the night dust off your flapper dress or suspenders and return to the ‘20s at Newport Vineyards’ WINEterfest speakeasy soiree. Whether you’re dancing the night away with the jazz band or sipping on a “bootlegged” cocktail, you’ll be sure to have a roaring time! Whether you’re in the mood for dancing, painting, or anything in between, Chicago is a great place to find fun Valentine’s Day classes! These classes are all tailored towards beginners, so don’t be afraid to think outside of that heart-shaped chocolate box this year. Experience The Heat - Ignite Glass Studios’ slogan couldn’t be more perfect for Valentine’s Day! Attend one of their 30 minute sessions and walk away with a handmade glass rose + a new skill. After heating up in the studio, cool off on one of Chicago’s ice skating rink. For the best view of the city head over to the ribbon of ice known as Maggie Daley Ice Skating Rink, or for a birds eye view check out Peninsula Sky Rink on top of the famous hotel! What are your favorite romantic activities for Valentine’s Day? Let us know in the comments!